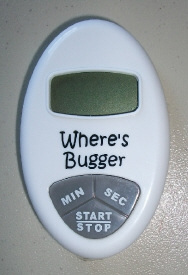 Lil' Blog and More: The Where's Bugger Giveaway has been extended.. I just wanted to let you all know that I am extending the Where's Bugger Giveaway. Since I was "away" I was unable to promote for the company, like I normally would. As you can imagine, that's not fair to them, and to make it fair I just want to extend the giveaway until the 15th.